Plik AA191-responders.png znajduje się w Wikimedia Commons – repozytorium wolnych zasobów. Dane z jego strony opisu znajdują się poniżej. This image or file is a work of a Federal Aviation Administration employee, taken or made as part of that person's official duties. As a work of the U.S. federal government, the image is in the public domain in the United States. 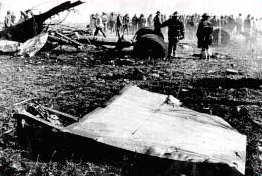 Source: United States Federal Aviation Administration - "Public Lessons Learned from Accidents"
First responders gather at the American Airlines Flight 191 crash site in Des Plaines, Illinois. May 1979.